By preparation of manual saws for work in the beginning they are cleared of sawdust, by pitches and rusts, washing out in kerosene. If necessary a saw cloth correct a hammer on an equal metal plate. After that tops of teeths of saws level (fugujut) for what on a workbench the board becomes stronger, into its cut insert a file. At fugovanii a saw insert into the same cut teeths downwards and move a saw on a file. Correctly otfugovannye teeths should to adjoin a ruler edge densely. That at pilenii the saw cloth was not clamped in a prosaw, it is necessary to plant teeths of saws. At divorce teeths serially unbend: even - in one party, odd - in another. All tooth, but only its top part at height to 2/3 from the basis on 0,25-0,5 mm aside for wood of firm breeds and 0,5-0,7 mm - for soft breeds is thus unbent. Teeths of manual saws plant with special distributings: Saw cloth densely clamp in a vice and alternately unbend teeths that in one, in other party, without sharp movements, in regular intervals, without applying the big efforts not to break a tooth. 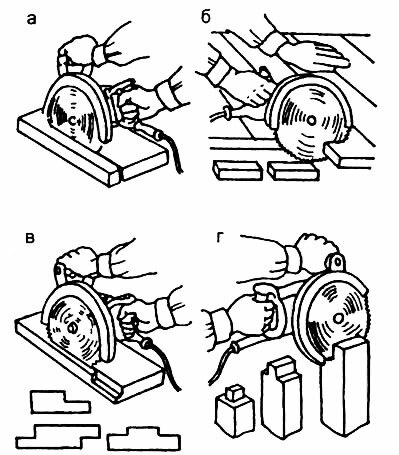 Working methods manual saws. For work a saw cloth in relation to the machine tool (luchku) establish at an angle 30 В°, thus the saw cloth should be rectilinear, without warps and well tense. Correctness of installation of a saw check as follows: the left hand hold for srednik, and right for the handle and look one eye at a saw cloth. If the saw cloth is established correctly it will look like the tense thread and if it is incorrect the braided end will be thicker. Rectify situation of a cloth of a saw by handle turn. 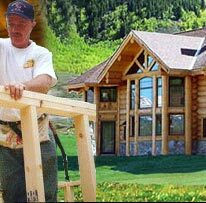 At longitudinal pilenii a board or brusok put on a workbench or a table so that the sawn off part came out, i.e. overhung for verstachnuju a board, and strengthen a clamp. Then plan a line raspila a pencil with a ruler, or a surface gauge. At pilenii do movements "С‚РЃСЂС‡СЊСЂВ§" press a saw to a bottom raspila at movement downwards and take her aside at movement upwards (idling) a little. It is necessary to saw exactly, without sharp movements and strong pressings and without warps. At longitudinal sawing up short boards with the made marking fix in a vice in vertical position so that risk was visible to the working. A saw put on a line of a marking and by slow movement on itself do the superficial has spent on drink, then it is possible to saw in full scope of a saw. Mechanized pilenie. Manual pilenie wood - labour-consuming and unproductive operation. 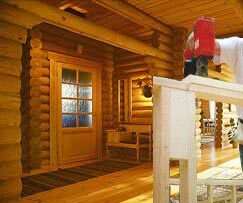 Application of the electrotool for pilenija wood raises labour productivity at 5-10 time and does not demand the big physical efforts. For mechanised pilenija apply manual chain and disk electric saws. Chain power saws (Р­Рџ-Рљ5Рњ, Ep-Kb, Рљ-5Рњ) are intended for cross-section raskroja round wood, bars, boards. The cutting tool in these saws - infinite pilnaja a chain set in motion from the electric motor through a reducer. The saw chain represents a set of the separate links (teeths) connected by hinges. At saw Ep-Kb working length of a cutting part of a saw of 445 mm, speed of movement of a chain of 5,4 km/s, capacity of 1,7 kw, a voltage of 220 V, frequency of a current of 200 Hz. The sizes 438x305x573 mm, weight of 8,8 kg. It consists of the electric motor, an one-stage reducer, mobile and motionless protective casings, the basis, pilnogo a disk, a knife for rasklinivanija a sawn material, the handle with the switch and the filter for suppression of a radio noise, the handle tokopodvodjashchego a cable with a plug plug. To work as a saw safely as the electric motor has double isolation (a class of protection II). Power saw Р�Р­-5107 can be maintained and as the stationary machine tool, having established and having fixed it on a workbench. 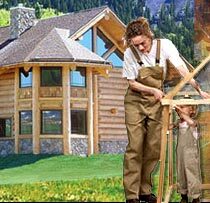 Technical characteristics of disk power saws are resulted in tab. 1. In power saws apply round flat saws in the thickness of 1,2-1,8 mm and diameter 160-200 mm. Disk saws saw wood as lengthways, and across fibres, kill thorns, choose quarters (fig. 5). Before the work beginning make check of serviceability of a saw, correctness of distributing of teeths, their sharpenings, fastening of a disk, etc. 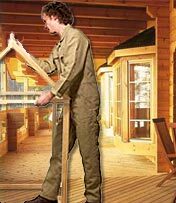 After check of work of a saw empty take the left hand the forward handle of a power saw, and right - back and smoothly lower a saw on the processed material strengthened on a workbench, a table. In order to avoid damage verstachnoj boards under a sawn material enclose a defective material. A pilnyj disk establish in relation to panels (plate) so that it acted on depth has spent on drink. In - quarter sample; g - zarezka thorns, crests. To Move a power saw on a material it is necessary rectilinearly and exactly, without pushes and warps. At fast movement of a saw on a material it can be jammed pilnyj a disk, be overloaded the electric motor that will lead to its exit out of operation. At jamming pilnogo a disk in a material it is necessary to remove a little a power saw back and only after clearing pilnogo a disk when it will type the necessary frequency of rotation, it is possible to continue pilenie. If at jamming pilnyj the disk stops, it is necessary to switch off the electric motor immediately. To move a saw on a material it is necessary so that pilnyj the disk went strictly on a marking. Upon termination of work a power saw disconnect from a network, clear kerosene, grease and put for storage in a special box.